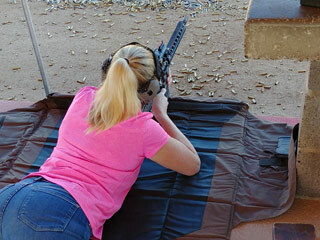 and associated with the National Rifle Association (NRA). 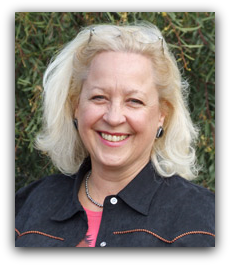 "When driving make sure your car is in good condition, no one wants to break down in a bad neighborhood or freeway. Always leave 1-2 car lengths in front of you when you stop. That way you may have room to maneuver and get out. Keep your windows up and car locked. If somebody bumps you from behind at low speed, think twice before you stop and get out; this could be a carjacking? " 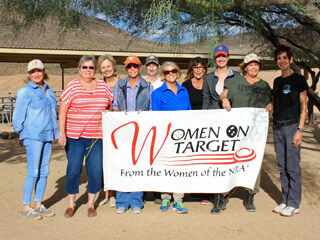 Ladies of Arizona come join us! 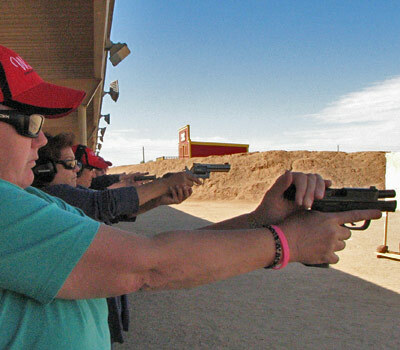 We welcome beginners, and women that shoot already and want to join other women. 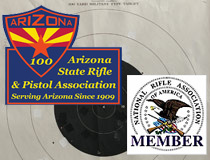 Please continue to check the website and Facebook for updates, on Practice Sessions, and schedule changes. 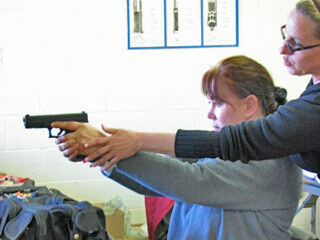 Women training women in a stress free environment, developing a strong basic foundation. 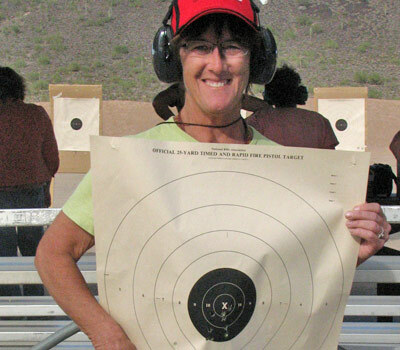 - Developing Confidence and a mindset to become a Competent and successful shooter. 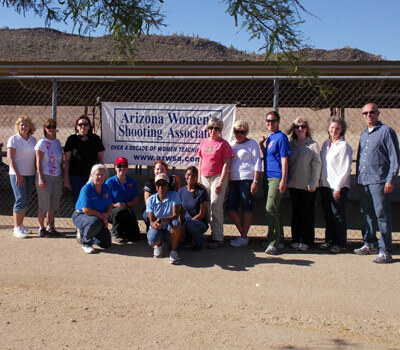 Arizona Women's Shooting Associates was formed by women to support and encourage other women, to become involved in the shooting sports. You'll catch the "bug", have a great time, enjoy the comradery and the great outdoors. We invite you to bring your family and friends. 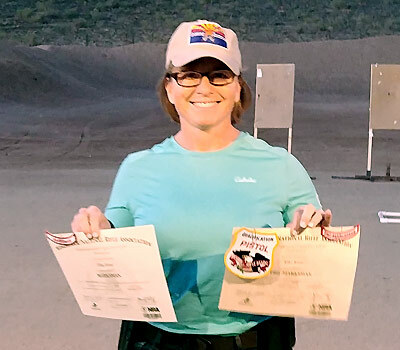 Our staff is comprised of NRA Certified Instructors in several disciplines and everyone is dedicated to helping you develop your shooting skills whether it is for personal defense, competition or recreation. 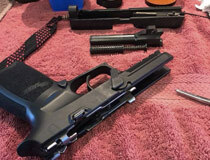 Quench your thirst for knowledge by looking through the articles, educational information including firearm safety rules, how to choose a gun,grip, trigger control, and other general information posted on this page. 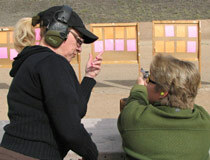 AWSA has compiled answers to many of the top questions posed to our instructors over the years at events and via email. We welcome your feedback. If you cannot find the answer to your question please contact us. 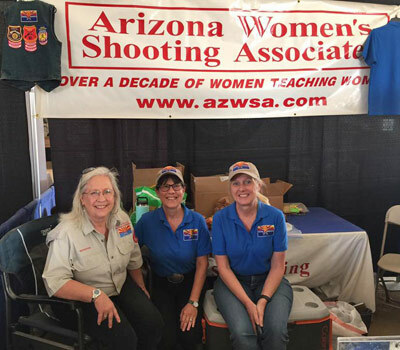 Arizona Women’s Shooting Associates (AWSA) is proudly the home of the Arizona State Rifle & Pistol Association (ASRPA) Women’s Division, and associated with the National Rifle Association (NRA). 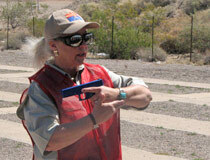 All of our instructors are NRA Certified.